Even before President Trump made his September 5th announcement to rescind DACA, the SMCCCD Dreamers Task Force, individual campus Dreamers task forces and all three Dream Centers were urgently planning to help our undocumented students tackle increasingly difficult challenges, to get staff and faculty up to speed on effective allyship, and to reduce additional barriers to education about which many of us remain unaware. Since then Dream Center staff and counselors have worked double-time, recently hiring part-time staff assistants at Cañada and CSM Dream Centers, expanding drop-in services, sending representatives to speak to your classes, and in every way possible, getting out the word on the imminent, unextendable October 5th deadline for students to renew their DACA status. With the exception of CSM’s Dream and Multicultural Center which hopes to hire an attorney soon, free legal clinics have resumed and Dream Centers have begun offering urgent one-on-one help with DACA expedited renewals, including how to get an emergency scholarship to cover the daunting $495 DACA renewal fee. The Centers are also working to address the rights and needs of our many students ineligible for DACA renewal. All three campuses remain highly focused on supporting individual and student centered groups such as CSM’s new UndocuCircles and plans to support a future student rally. Student Dreamers Clubs are formed or forming on all three campuses. At Cañada, all faculty have been encouraged to post Immigration Resources facts and links for students on their faculty webpages. Each campus hosts its own Dreamers Task Force with membership open to faculty, staff and students. The task forces meet monthly to discuss such topics as reducing citizenship qualifications for scholarships, support for student groups, and understanding the changing legal landscape and community narratives. The best way to get involved is to attend a meeting or join your campus Dreamers task force. Contact your campus Dream Center! Following the standing-room only District Opening Day session Introducing the SMCCCD Dream Centers on August 14th, task force members across our campuses undertook additional comprehensive “UndocuAlly” training by the well established non-profit Educators for Fair Consideration (E4FC). On October 11th, Dream Center staff will bring this training to staff and faculty. The goals are to provide us with deeper understanding of the challenges faced by the undocumented community, as well as best practices and resources to aid students in their pursuit of higher education. 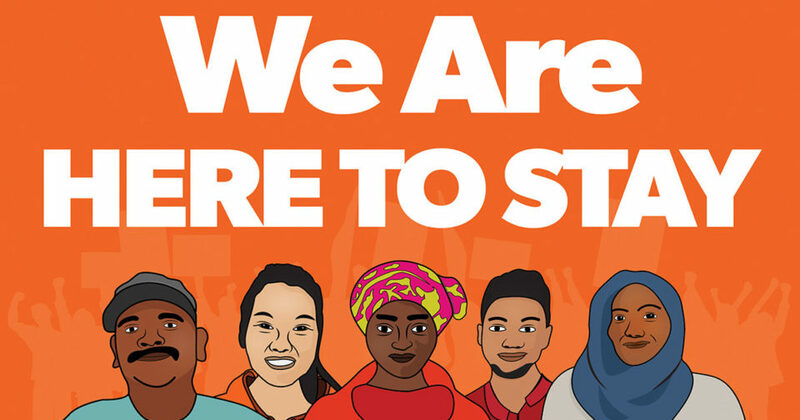 At Skyline, a second Flex Day workshop, “DACA 101: What has Changed and What Are Our Students’ Rights,” will go deeper to discuss current narratives on DACA within the undocumented community, and much more. Check your email for your campus Flex Day activities schedule and register now!